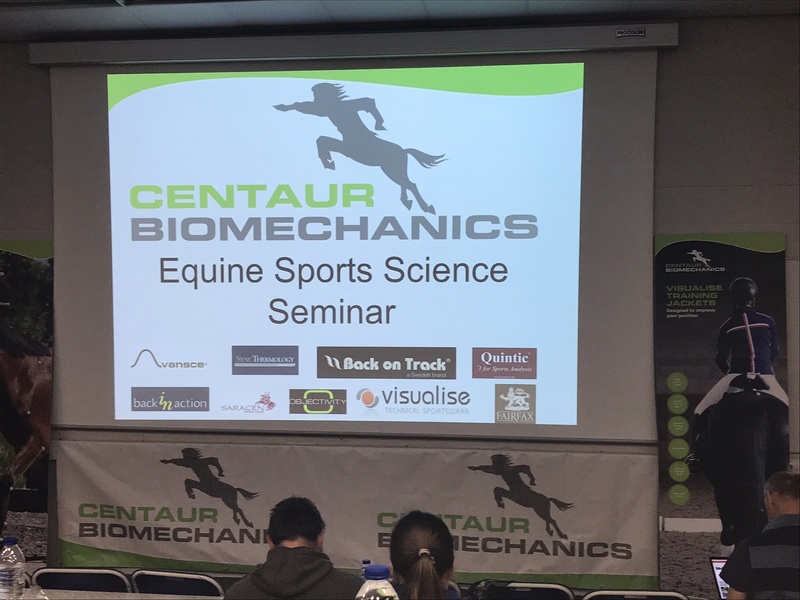 It was a real pleasure to attend this conference day at Hartpury College; it’s just the kind of thing I love doing! It is so important to keep up-to-date with research and hear it “from the horse’s mouth” (sorry! ), so that we can share knowledge and understanding around the industry. The two primary speakers, Prof. Lars Roepstorff and Dr. Rachel Murray, were highly experienced and knowledgeable, offering some fascinating insights into a range of topics. There is greater risk of strain in the suspensory ligament in extended trot, than in collected trot; in other words, don’t keep asking for huge extensions in the paces of young horses! Symptoms of suspensory ligament strain can also show as poor muscle development in the back & hindquarters, along with sacroiliac joint pain. Cross training your horse is essential to reduce the risk of repetitive overload injuries, i.e. suspensory ligament issues, tendon strain, muscle injury etc. Asymmetrical movement in the horse of less than 20-25% is really difficult to detect with the naked eye, which is why objective lameness assessment using marker-based systems is so valuable to vets.